Tokyo, January 13, 2017 ― Fuji Heavy Industries Ltd. (FHI) and its motorsports subsidiary Subaru Tecnica International Inc. (STI; President Yoshio Hirakawa; located in Mitaka, Tokyo) gave an overview of Subaru Motorsport activities for 2017. The 45th Nurburgring 24-Hour Race will take place in Germany on May 25-28, and STI will compete in the event for the tenth consecutive year with a Subaru WRX STI. 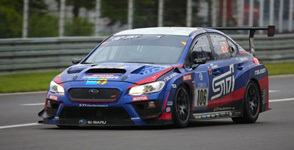 STI has won the SP3T class (for sub-2 liter turbocharged vehicles) four times―in 2011, 2012, 2015, and 2016―and is looking to achieve a third consecutive win this year to chalk up its fifth class victory. The race vehicle for 2017 will make optimum use of its enhanced engine output, paddle shifts, and transmission modifications to improve acceleration performance and maximum speed while enhancing cornering speed thanks to features such as lighter body, reduced inertia moment, and enhanced front downforce. Development and refinement have created a vehicle that is fast while responding precisely to driver input. Once again Shigeo Sugaya of STI will be team manager. The four-man driver line-up remains the same as last year’s class-winning team: Hideki Yamauchi (Japan), Marcel Lasee (Germany), Carlo van Dam (Netherlands), and Tim Schrick (Germany). 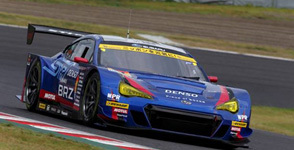 The Super GT Series is widely regarded as Japan’s top motorsports category, and this year STI will race a Subaru BRZ GT300 in the GT300 class. Refinements include an even lighter body, improved aerodynamics, inertia moment optimization, and enhanced engine performance. STI will provide technical support to Subaru Rally Team USA as it competes in the Global Rallycross Championships (GRC), which are particularly popular in the United States. This event combines elements of circuit racing, off-road racing, and rallying, and the race vehicle will incorporate expertise acquired in Nurburgring 24-Hour and Super GT competition to prove the superiority of Subaru’s horizontally opposed engine and Symmetrical All-Wheel Drive. For the 2017 season, STI is offering technical support in areas including improved engine performance, enhanced rigidity and inertia moment minimization. GRC star Patrik Sandell and former Subaru World Rally Team driver Chris Atkinson will compete in the race at the wheel of 2017 Subaru WRX STI GRC race vehicle.